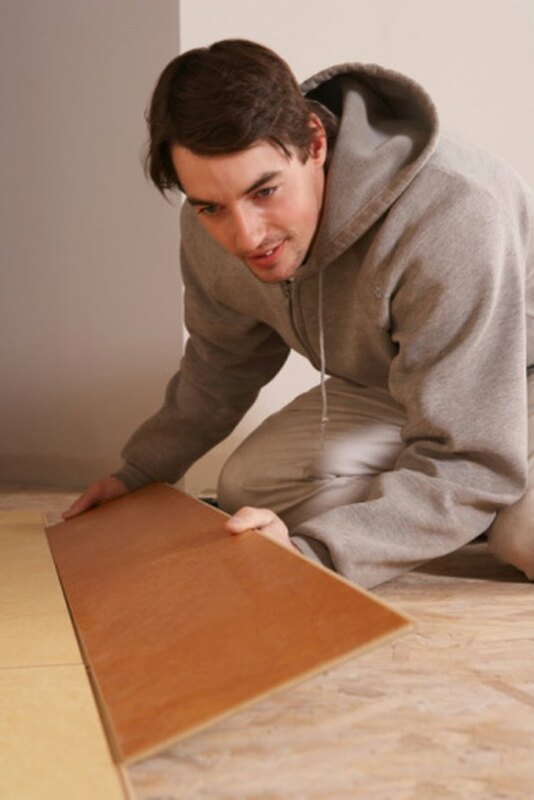 Laminate floors can be made of either plastic or wood. 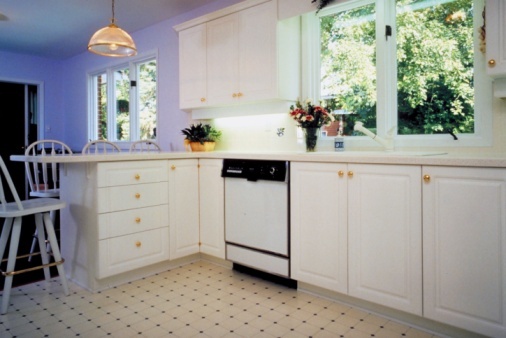 Plastic laminate floors feel like plastic, but they might have faux stone or wood finishes. Wood laminate is made from resins, plastic and wood, and it looks and feels like wood. Ensuring that the laminate floors last long and look good depends on your ability to care for the floors properly. Use only the recommended cleaners on laminate floors to prevent damage. Laminate flooring can resemble wood. Bleach is a strong and pungent cleaning solution that you can use to remove bacteria, viruses and other contaminates from laminate surfaces. Bleach is a disinfectant that will work on nonporous surfaces, which plastic laminate is. To use bleach to clean laminate floors, dilute the bleach with water. Concentrated bleach can dye the laminate surface and can irritate your skin, eyes and lungs. Mix 3/4 cup of bleach per gallon of water. Apply the solution to the floor with a mop, and let it sit for five minutes before scrubbing the floor and soaking up the bleach solution. Always rinse the floor well to remove the bleach residue, and always apply the solution to a test area first to ensure it won't change the color of your laminate. Wood laminate is trickier to clean than plastic laminate. Wood laminate contains more layers of wood that are very porous. If excess water soaks into the laminate surface, it can cause the floor to buckle. Because it is porous, you cannot use bleach to clean it. The bleach will soak into the laminate flooring and will dye it or damage its finish. Never use any abrasive or caustic cleaning solutions on laminate flooring.